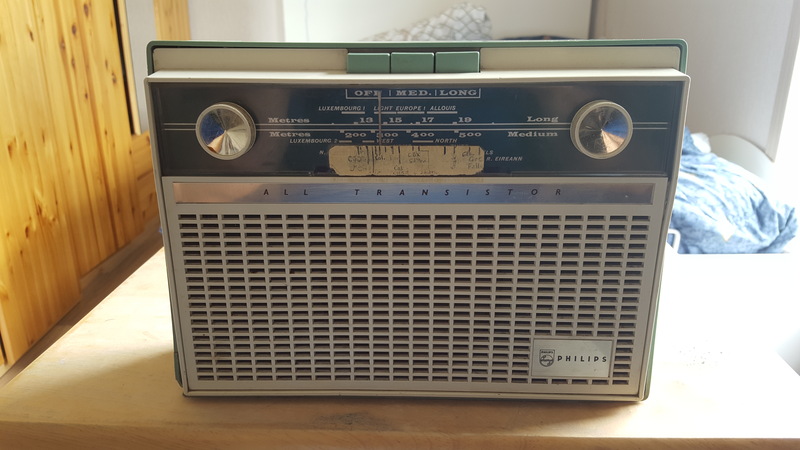 As payment for helping G&A with their computer, I was given a radio, the Philips L3G03T (“T303“), the latest item in my collection of old technology. It was purchased in England in the 1960s before G&A travelled to Canada with their three kids. It was kind of a major purchase back then for someone counting pennies (pence, actually) to immigrate to Canada. The radio takes two type 276 9-volt batteries. I can get them online for only … get this … $22 each! (plus $120 shipping), and All-Tra Batteries here in Lethbridge doesn’t carry them. Too bad. It also has a power input port, but I have no idea what voltage it would take. 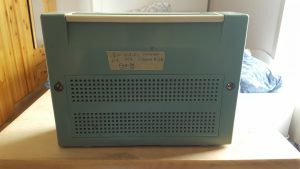 The batteries are connected in series, making this an 18-VDC radio, but there is some circuitry between the batteries, so I don’t want to take any chances and blow the thing up. So I’m guessing I won’t get to hear it play just yet.